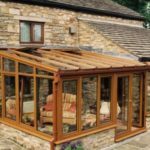 Having worked in the home improvement sector for nearly two decades, we know a thing or two about removing and disposing of the waste we generate from our home renovation projects. We always try to keep out costs to a bare minimum but how do we do it? Read this page to see the going rate for skip hire in the United Kingdom. 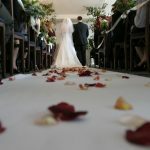 We also have some great tips for those of you that want to save money. Large skips between 10-16 yards are not suitable for heavy waste and cannot be filled to the top with dense heavy materials. They should only be partially filled with soil, concrete, bricks or other such items. What is The Going Rate For a Skip? We have hired plenty of skips over the years and know that you will pay more if you live in or near London. Below is a list of the most common skip sizes and how much they cost. Keep reading this page to see some hidden costs you should be aware of. This is the smallest possible skip you can hire and holds around 25 bin bags. This is smaller than a typical builders skip but still holds around 35 bin bags. This is the most common sized skip and popular with builders. It holds 65 bags. Slightly larger than the 8 yarder, this holds 75 bags and suitable for bulkier waste. Large skips that aren’t as popular due to their size making them difficult to store. Rollers are large containers that roll off the back of specialist haulage lorries and can hold 20 -40 sq yards. The Hippobag – A large bag that holds up to 1.5 tonnes of waste. 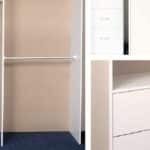 These can be purchased from builder’s stores or online. When you ae ready, just give them a call and their grab lorry will pop along and collect the full bag. See the Hippo website for more information. Hire a Van – You could hire a transit type van and transport the waste to a recycling yard yourself. 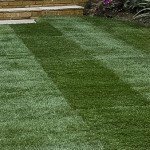 Mixed construction waste costs around £100 inc vat per tonne and soil/landscaping waste is usually cheaper as it’s recycled. Van hire is from £50 per day but you can make multiple trips to the disposal yard. This option is the cheapest but you need to spend your time travelling to and from the yard. Hire a Removal Company – house clearance and waste specialists can give you a price to remove waste either for free or if there is little value in your waste for a fee. This option is best for those in a hurry. 3 – Is a Permit Required? If you need to store the skip on public land such as a grass verge, footpath or road you will need a permit. 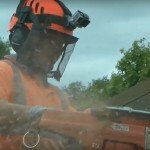 These are usually arranged by your skip hire company, but on some occasions, you will need to arrange for one directly with your local council. Expect to pay anything from £15 – £100 as it varies, council by council. Expect to pay anything from £15 – £100 as it varies, council by council. Nowadays most skip hire companies will place a time limit on the skip hire, go over this and you’ll be looking at extra charges so make sure you read the small print as every company is different. Also, any permits will need to be renewed as well. Also, any permits will need to be renewed as well. failed drop off or collection charge – this also known as a “wasted journey” fee. For example if your driveway is too narrow or you moved the skip so the lorry can no longer reach it. 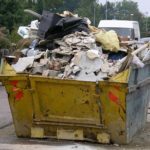 contaminated waste charge – if your waste is contaminated with a banned substance such as asbestos, they will either refuse to collect it or if they discover the waste at the recycling centre, you will have to pay for it to disposed of correctly. Below is a list of restricted items, it’s not exhaustive but covers most items. Some of these items can still be disposed of but need a separate skip or should be placed in bags and kept separate from the rest of the waste. Plasterboard is a good example of this. It shouldn’t be mixed with other waste, some companies will supply you with bags for it, while other will expect you to hire a separate skip. A larger skip can hold more volume but there is a weight limit for the lorry that collects the skip. If you intend to fill the skip with heavy items such as concrete, bricks, clay or soil, the largest skip you can fill to a level load is usually an 8 yard skip. Some vehicles may only be able to lift a 6 yard skip fully filled with these items so check with your chosen skip hire company. Skips that are in the 10-16 yard range are normally used for waste with a lower density such as aluminium, wood or cardboard. 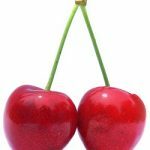 How Much Does it Cost to Hire a Cherry Picker in the UK? 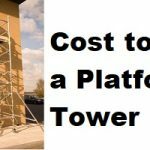 How Much Does it Cost to Hire an Access Platform Tower? 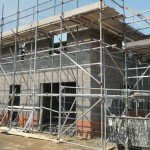 What is a Fair Price to Pay For Scaffold Hire?